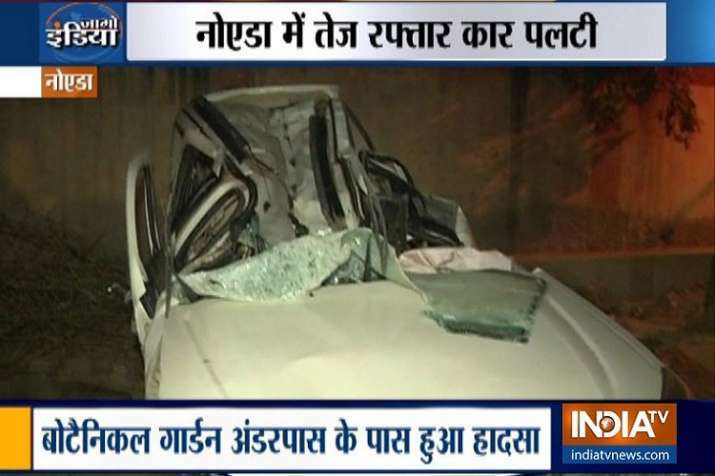 One person was killed when a speeding car collided with divider near the Botanical Garden in Noida. The incident took place on Friday night when Yogendra Singh, who was driving a Ford Endeavour crashed into a divider near Botanical Garden underpass. The car has been completely damaged.